Previewed at: Sony Pictures Theatrette, Sydney, on 4 December 2017. Life, and the movies, can be strange at times. Just as the year is winding down and the cinemas are filling with light-hearted, escapist fare, along comes one of the most emotionally complex yet engagingly cerebral films of the year - and one of the best. Call Me By Your Name is the new film from Sicilian director Luca Guadagnino, who gave us the wonderful A Bigger Splash two years ago and the sublime I Am Love in 2009. Along with Paolo Sorrentino, he is without doubt one of the finest directors working in Italy today - working anywhere, in fact. Set in the vicinity of Crema, northern Italy in 1983, the film covers a summer in the life of 17-year-old Elio Perlman (Timothée Chalamet). He's holidaying in the beautiful villa of his erudite, cultured, Jewish American parents, beautifully played by Michael Stuhlbarg and Amira Casar, when everything changes with the arrival of Oliver (Armie Hammer), an older student of his archaeologist father. Until then Elio has been doing what teenage boys do on holiday, swimming, playing sport, bicycling, flirting with local girl Marzia (Esther Garrel) and, naturally, masturbating. Initially annoyed with their guest’s arrival, especially as he has to give up his room for him, the lad soon becomes more and more interested in the older man and, before long, his interest becomes an intense passion. Oliver, who's doing a bit of heterosexual flirting of his own, ignores Elio's crush at first but, as the days pass he begins to respond to him. 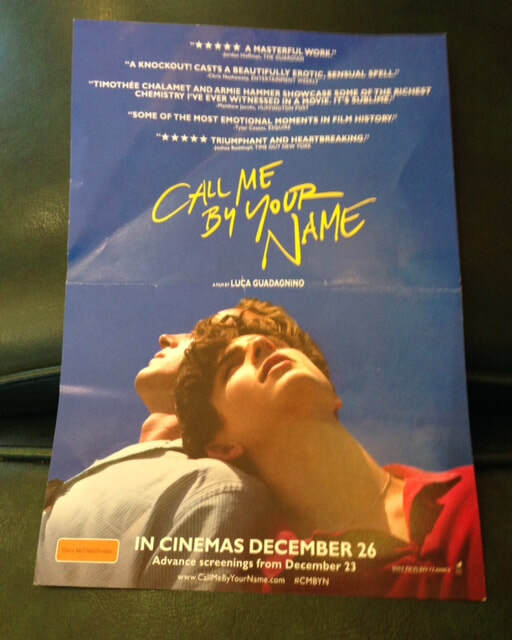 In Call Me by Your Name, Guadagnino and Merchant have crafted an absorbing tale of the power of first love - male or female, hetero or homo, the intensity of this powerful emotion is just as overwhelming for all. The screenwriters have made some changes to the original book but its author approved, even opining that they'd done a better job than he had! To Aciman's great credit, however, in one extremely confessional and moving scene between Elio and his father, his words were used almost verbatim. You'll know this scene when you see it and it will stay with you once you have. The director says he doesn't think of his film as a ‘gay' movie per se, telling Variety that he thought of it as a family-oriented film; that it's about the "transmission of knowledge and [I] hope that people of different generations come to see the film together." Enlightened viewers will agree with him. This is an important film, poignant and powerful and exceedingly beautiful. Don't miss it.